Taste And See That The Lord Is Good! Our foolishness does NOT determine God’s actions towards us! There is no circumstance we can go through that is too big or complicated that can change who God is! No matter the circumstance, God invites us to open up our mouths and have an experience with him. God invites us to experience HIS presence. Our trials help us to taste and see God’s goodness. They make God REAL. The more we TASTE, the more we SEE, the more we TRUST! Listen and be comforted knowing that God loves us too much not to let us experience HIM, and because of that there WILL be points of pain and trials. Men And Women TOGETHER – Imaging God FOREVER! In this Gospel Message entitled “Men And Women TOGETHER – Imaging God FOREVER!”, Pastor Timothy Brassell of New Life Fellowship of Baltimore, Proclaims the Good News of the Lord Jesus Christ who has taken up our humanity in Himself, sharing with us HIS life of union and communion with His Father through the Holy Spirit. He shows through the scriptures that all barriers between men and women and the dividing wall of hostility between all humanity has been destroyed, and our humanity renewed and healed, in Jesus Christ! That Jesus Christ is the first image of God of man and woman together and is not just an after-thought. As women and men, we were always meant to be conformed to Jesus Christ’s image and what He made of our humanity in Himself. We understand that HE is the Reality, and Adam and Eve (and us!) are only the shadow of Him in this first phase of our humanity! 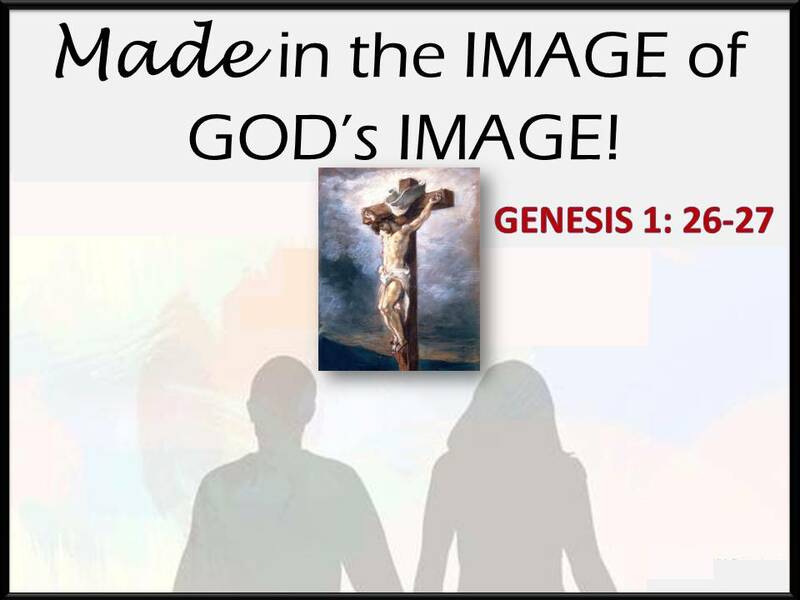 That because Jesus is the Image of God, it is best to think of men and women, male and female, as created in the Image of The Image of God! That ONLY FEMALE AND MALE TOGETHER show GOD toward creation and how ONLY TOGETHER do we show creation back to God in the fitting response Jesus shares with us. This doesn’t always mean marriage between men and women, but it always means gender partnership and complementing each other! The Good News of what IS superior about being female and male, and what is not! Learn how we ARE equal and how we are not! Understand our participation and roles as Kings and Queens of creation! About The Great Grace that has been lavished on us as male and female in the person of Jesus Christ , and the Great and Loving Judgment against our broken humanity that compels us to reconsider and take part with Jesus as Life actually is! You are encouraged to Participate with Christ, and in His shared humility, learning to admit your faults and receiving the forgiveness that leads to ACTUAL & REAL reconciliation and peace between human persons, plus LOTS MORE GOSPEL INSIGHT! It’s All Good News In Jesus! 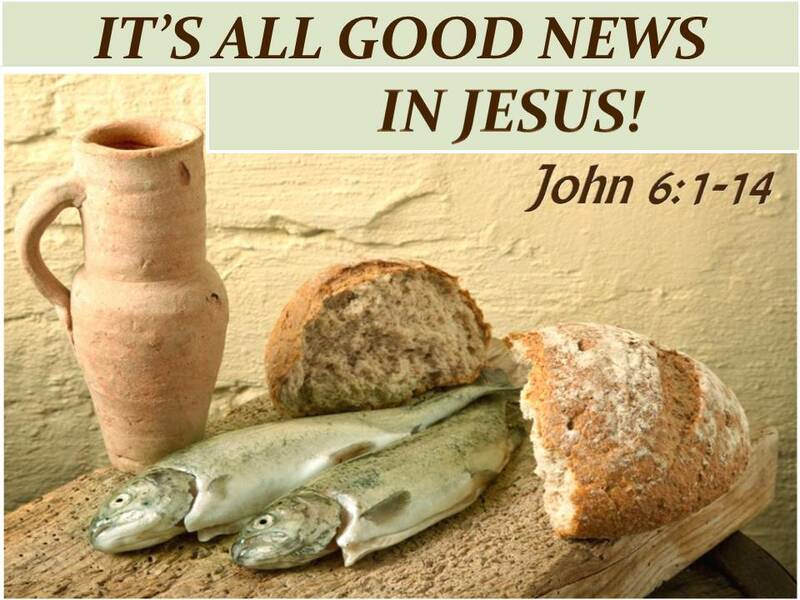 In this Gospel Message entitled “It’s All Good News In Jesus”, Pastor Richard Andrews of New Life Fellowship of Baltimore, Proclaims the Good News and shows through John 6: 1-14, that Jesus wants to share with you HIS perspective,which is ALL GOOD NEWS! When Jesus encounters you, your life will be flipped inside out because HE IS THE WAY THE TRUTH AND THE LIGHT! When we use our perspective, all we are used to seeing is what is right in front of us, which is all bad news! When we understand WHO JESUS IS and who WE ARE IN HIM then we can understand HIS SOVEREIGNTY! It is all about God’s GOODNESS. God who is Father, Son and Spirit CARE TO INCLUDE US IN THEIR LIFE! Will you ENJOY and APPRECIATE HIS SOVEREIGN LOVE? On this 4th Sunday after the Epiphany in the Christian Calendar (The Season Of the God Revealed in Jesus Christ), Pastor Timothy Brassell of New Life Fellowship of Baltimore proclaims the Good News of Jesus sharing the Good News in Mark 1:14 – 15. It is followed up with a conversation about Evangelism from Dr. Baxter Kruger, William Paul Young (Author of The Shack), and Dr. Mike Feazell of Grace Communion International. The conversation is centered in the Light of the character of God: Father, Son and Spirit Himself and the implications of this discerned. We discuss what evangelism is and what it is not. We discuss how knowing God as Father, Son and Spirit should affect our approaches to sharing our faith. We are reminded that The Father, Son and Spirit IS RELATIONSHIP and His dream and intent IS to draw humanity into His relationship so that it becomes as much ours as it is His! Listen in and join the conversation! 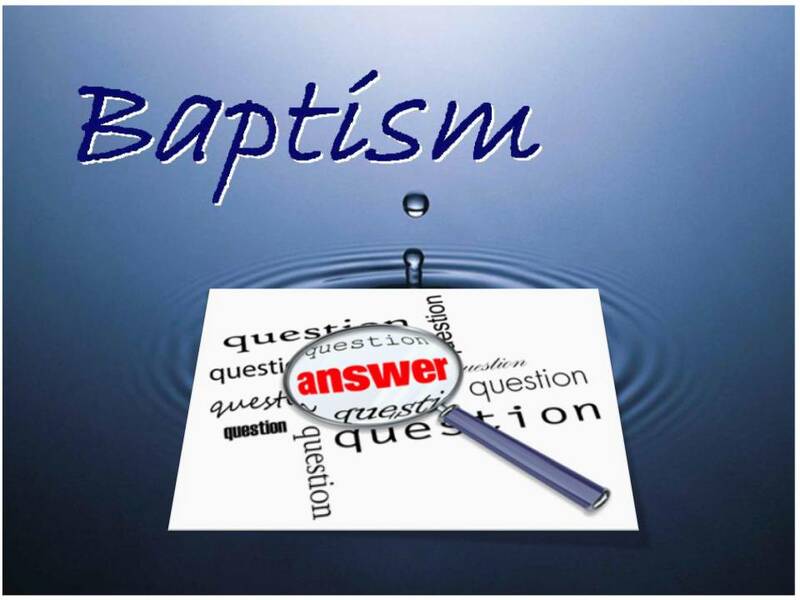 Questions And Responses Regarding Baptism And Other Things! On this 3rd Sunday after the Epiphany in the Christian Calendar (The Season Of the God Revealed in Jesus Christ), Pastor Timothy Brassell of New Life Fellowship of Baltimore proclaims the last message of this series on Jesus and His baptism. Rehearse how God’s baptism in Jesus is the GOOD NEWS that we can identify ourselves with Jesus boldly in our baptism, knowing God is SO GOOD that in Free Grace He has come to meet us in our rebellion, in our rejection and in our ignorance, CLEANSING AND LOVING US and bringing us into His relationship. Why was God was Baptized? Why should we be baptized if Jesus was baptized for us? In what ways is baptism performed? Why is sprinkling done in some circles? Why is immersion done in others? 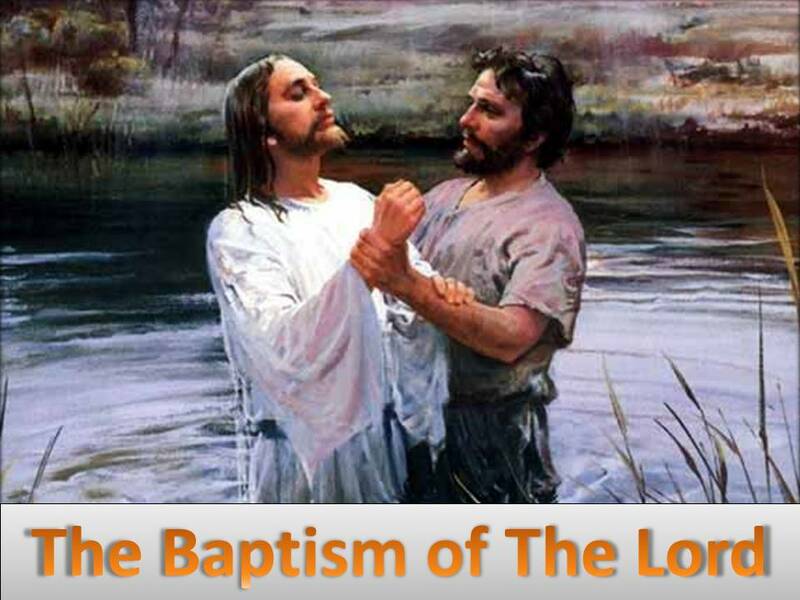 Who is to be baptized? How many times should we be baptized? Does one have to be ordained to baptize others? Is being “Christened” and “Being baptized” the same thing? What if I was baptized in the name of someone other than Jesus or the Father, Son and Spirit? Should I be baptized again? Listen in on this interesting conversation, and maybe hear YOUR question about baptism answered out of Who Jesus is as the Gospel! If Jesus was Baptized as my substitute, then why am I baptized too? Do I receive the Holy Spirit only after being baptized? Am I saved by baptism? Can I be still be saved and receive the Spirit if I choose not to be Baptized? Listen in and learn – SO THAT YOU CAN RECEIVE and SHARE GOD’S GOOD NEWS WITH OTHERS! Why In The World Was God Baptized?! Why was Jesus, the PERFECT SON OF GOD IN FLESH, baptized with John’s Baptism of Repentance? How could God in Jesus repent of his own sins when the scriptures clearly say Jesus lived as the God/Man without sin? In this season of Epiphany in the Christian Calendar, Pastor Timothy Brassell of New Life Fellowship of Baltimore points us to the answers to those questions, and more, in this GOOD NEWS message entitled, “Why In The World Was God Baptized? !” Reading Matthew 3: 13-17, learn that the ONLY WAY to understand baptism is to begin with JESUS CHRIST! Is baptism primarily about your commitment to God, orrrr…is it possible that it is more about God’s commitment to you? Is baptism primarily about you receiving Jesus into your life, orrrr… isn’t possible that it is more about Jesus receiving us into his love, life and relationship with his Father, the Holy Spirit, Humanity and all of creation? Is baptism primarily about your own faltering faith and repentance, however good, orrrr…is it primarily about Jesus’ perfect faith and repentance on your behalf and in your place! And, in the Light of these questions, if Jesus got baptized, Why do WE get Baptized?! Understand your participation in Christ a little more clearly, especially since scriptures say that it was Jesus’ job (and NOT YOURS!) to FULFILL all righteousness! God’s Coming Humanly Means God’s Going Humanly! Do you wonder how you can live through suffering in a way where you are still filled with FAITH, HOPE and LOVE? Where you can know VICTORY and experience New Life and a Higher Dimension of LIFE and DIGNITY? On this 1st Sunday after Christmas, Pastor Timothy Brassell of New Life Fellowship of Baltimore points us to the answer to this dilemma in this GOSPEL FILLED GOOD NEWS message entitled, “God’s Coming Humanly Means God’s Going Humanly”and shows through Hebrews 10: 19-25 that, God Father, Son and Spirit KNOW and SHARE IN our real suffering through JESUS CHRIST! In Christ, God reveals that He is not one who stands apart from suffering, but One who stands WITH US, stands ESPECIALLY IN HUMAN SUFFERING! ~God’s coming as a human being, him becoming human through Christ, means He comes not just in our celebrations but in the depths of our human sufferings! ~Since the Ascension of Christ, humanity has a hope built on an accomplished fact that humanity could not have before the Ascension. 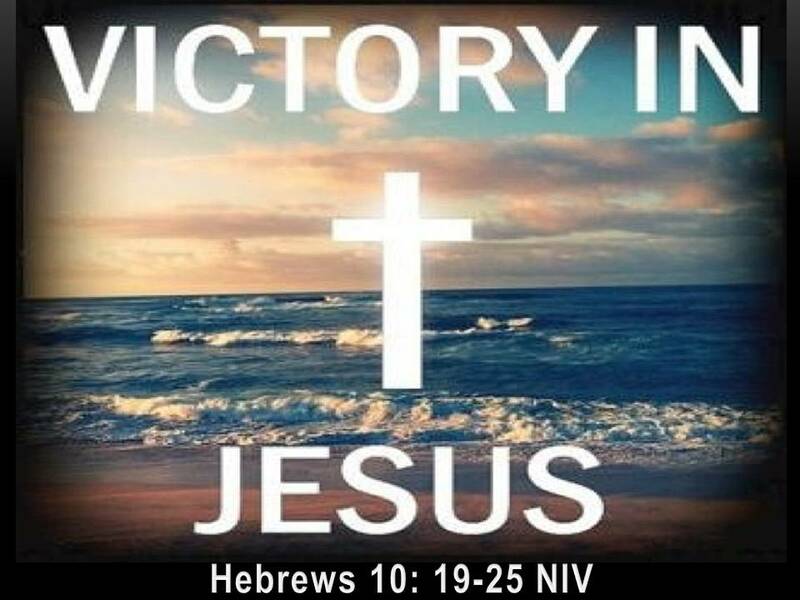 That God has taken up our cause in CHRIST and not only cried our cries but in the resurrection and ascension He has ANSWERED our cries and has VICTORY over them now, IN HIS PRESENT HUMAN BEING! In Christ, God has been a Gift for Himself and for us!! ~The most clear understanding of who God is, IS JESUS CHRIST! Understand our participation with Christ now in the “Rhythms of Grace” and not “Regulations of Law”, as ways of relating with Our Father and Jesus in the Spirit ! 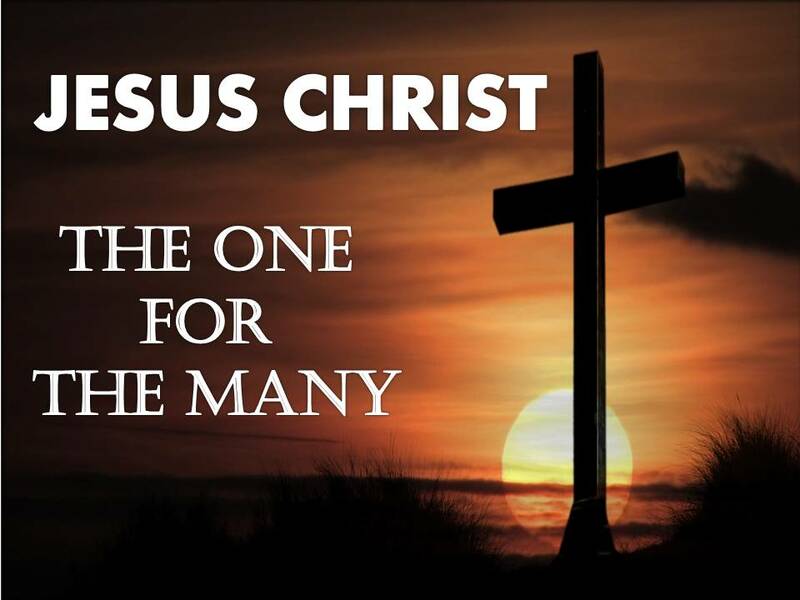 ~The most clear understanding of who man is, IS JESUS CHRIST! To see Jesus from His birth to His Ascension before the Father is how we understand what it really means to be human, since Jesus is and always has been God’s Plan for Man in man’s adoption! ~God’s Coming Humanly Always means God’s Going Humanly! His coming always means His going = God’s Being a Living, Active and Dynamic Lord, filled with Life and Movement! NOT A STATIC GOD! WILL YOU COME AND GO WITH HIM, as His chosen disciple? Christmas: What It Means! Why It Matters! 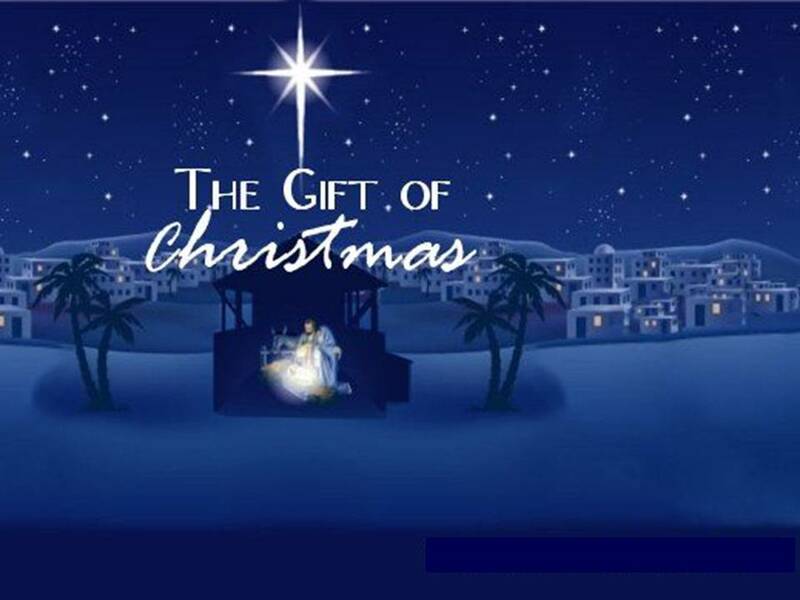 On this 4th Sunday Of Advent 2014, Pastor Timothy Brassell of New Life Fellowship of Baltimore delivers this Christmas message filled with ASTOUNDING GOSPEL GOOD NEWS entitled, “Christmas: What it Means! Why it Matters! and shows through John 1: 1-14 that because JESUS IS THE WORD made flesh, CHRISTMAS MEANS: That God in Jesus LISTENS to us and FEELS us – That God is CHRIST LIKE, he has revealed himself in Christ – That man was made in the LIKENESS of GOD. ~ Rehearse why it is important to hold to the fact that Christ shared in our actual and sinful, human flesh, inherited from Mary, His mother, AND “dwelt among US” and not in some other make-believe fantasy world that doesn’t exist! ~ Recognize and Live more fully in Reality in our daily lives, and in line with Who God is as Revealed in Jesus Christ, and who we are in Jesus; Recognize what Christ’s Ministry and Mission can and should look like among believers. Everything In and Through Jesus The Christ! On this 2nd Sunday Of Advent 2014, Pastor Timothy Brassell of New Life Fellowship of Baltimore delivers this GOSPEL FILLED GOOD NEWS entitled, “EVERYTHING IN AND THROUGH JESUS THE CHRIST” as we come to understand just what “Everything In and Through Jesus Christ” means. Learn more what it means that God is not only here but comes to us IN JESUS CHRIST; what it meant that the Son came as a man, and assumed our REAL HUMAN NATURE! 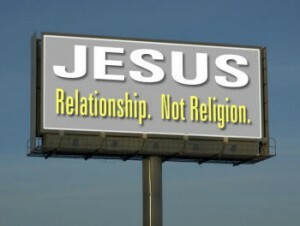 ~Jesus has a personal relationship with God on OUR behalf and we have a relationship with God THROUGH JESUS CHRIST! Because of God’s goodness, he makes our responses for us, so that when we respond we are only responding to Jesus’ response to his Father. In Him, and through Jesus, we are renewed by the Spirit in the image of God and in the worship of God and His life of SHARED COMMUNION! ~We burden ourselves with questions like: Do I have to ask for forgiveness before God will give it to me? Do right words, regulations, rules, and repentance take my sins away? But the scriptures tell us that JESUS is MEDIATOR between God and Man and that God draws near to humanity IN AND THROUGH CHRIST to fulfill His purposes of our human worship and communion with God! This means that FORGIVENESS IS LOCATED IN THE PERSON OF CHRIST and that IN AND THROUGH CHRIST, God HAS ALREADY FORGIVEN US! So, WHEN YOU ASK FOR FORGIVENESS YOU CAN BE SURE OF GETTING IT! Why? Because it has already been given to you in Jesus! For God: Father, Son and Spirit, there is no going back on forgiveness of your sins because the Son of God will live as Jesus the God/Man forever!! In Jesus Christ, sin has been COMPLETELY ELIMINATED! ~There is NO such thing as a transaction Gospel, or “If you do this THEN God will save and adopt you!” We can unburden ourselves with that mentality by hearing the Fathers’ response to us: I have forgiven you, therefore ENJOY AND receive it! I LOVE YOU therefore FOLLOW ME IN TRUST AND LOVE because YOU ARE ALWAYS GOING TO BE CARED FOR! THE GOSPEL IS REALLY GOOD NEWS! ~Specifically, because everything is IN AND THROUGH CHRIST, we can give a real word of REST and JOY to people, so that in the JOY of Jesus they can RUN as WE DO, as The ADOPTED SONS AND DAUGHTERS THAT GOD ALWAYS WANTED!!! ~There is not so much work we have to do in getting the words right, or in getting the concepts down. We receive that Jesus got down here for and with us in our place and that there is NOTHING we can ever do to make God more Gracious and we are NEVER going to be able to condition God to like us. What we need to understand is WHO JESUS IS and WHAT HE has done for us, participating in His Response of gratitude and thankfulness to His Father, and in His Trust and Obedience!